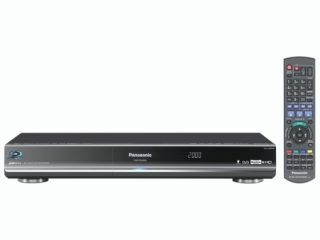 Panasonic has unveiled two Freeview+HD Blu-ray recorders – with the DMR-BW880 and BW780 both bringing dual tuners, hard drive storage and 5.1 channel surround sound. The need for mass storage is enhanced by the arrival of Freeview HD, with the higher definition pictures needing more space. Panasonic's two new arrivals allow recording to dual-layer Blu-ray discs and come with an SD memory card slot for AVCHD camcorder footage and photographs. "Both Blu-ray disc Recorders feature twin HD terrestrial tuners or satellite tuners, which enable customers to record digital broadcasts in full-HD quality," adds Panasonic. "Besides their ability to record two digital broadcasts at the same time, the twin HD tuners also allow users without a digital TV to watch a digital broadcast and record it simultaneously. "5.1-channel surround sound (Dolby Digital or Dolby Digital Plus) signal and subtitles that are included in digital broadcasts can also be recorded, allowing users to enjoy surround sound and subtitles during playback." The DMR-BW880EBK has a 500GB hard drive and the 780 has a smaller 250GB hard drive.